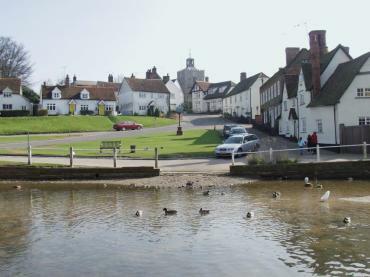 This village has been described as 'the most photographed village in England' and I am not about to argue with that. 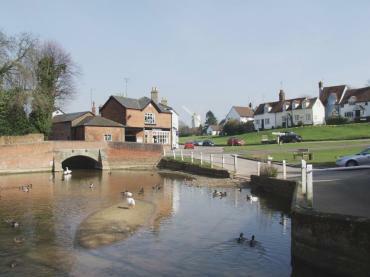 With its pond, complete with ducks, and village green it is a classic English village. The rather squat tower at the top of the hill is the church of St. John the Baptist and the cottage on the left with two yellow doors is the Causeway Tea Rooms of which more later. Another view of the village pond with the windmill in the distance. 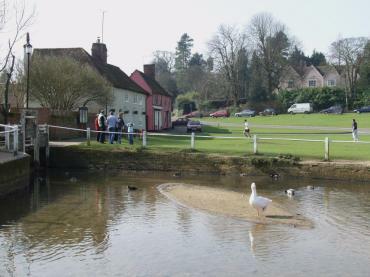 The part of the village around the windmill is known as Duck End (Don't ask). The small arch on the far side of the pond is where the brook that feeds the pond flows in and it carries the road over the brook. This tributary, after it flows out of the pond again, runs into the River Pant. This view is from the Church Hill side of the pond with the outlet to the brook on the left. 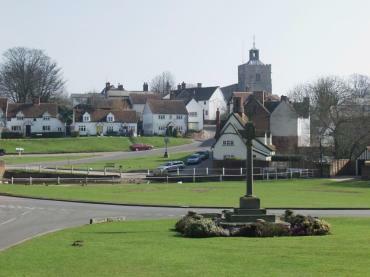 Looking towards Church Hill with the War Memorial in the foreground.